Wineware’s Top 5 Gifts for Her for Christmas! With just 17 days to go until Christmas 2014, now is the perfect time get the women in your life a present from Wineware, whether it’s your sister, mother, wife or girlfriend! We all know , it’s sometimes a little tricky buying a gift that’s perfect for her, so that’s why we thought we’d give you a helpful hand and suggest our Top 5 ‘For Her’ Gifts for Christmas. Our suggestions includes the perfect glassware for celebratory Champagne, as well as elegant decanters and easy to use bottle openers. We’re sure these gifts will make her smile this Christmas and every time she uses them after! 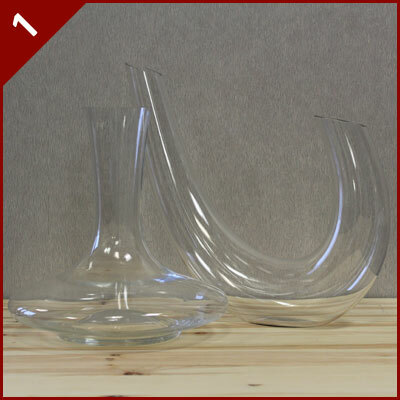 Pour your wine from the bottle into a decanter is a must to enjoy red wine to its fullest potential and we stock a great range of wine decanters and carafes that are perfect for her. Easy to pour and elegant glass decanters will be the perfect present this Christmas for the women in your life…especially if she likes a drop of red when the girls are round! 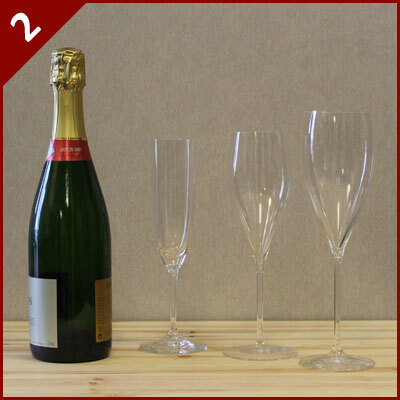 Raise a glass this Christmas with the perfect Champagne glass from Wineware! Everyone likes a glass of bubbly from time to time to celebrate the goods things in your life, so why not toast in style next time with some long fluted or tapered glasses that are perfect for the Sparkling Wine variety. 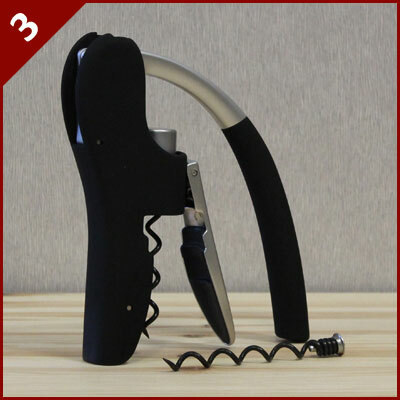 Opening a favourite bottle of wine has never been so simple with this handy lever model corkscrew. This really easy to use bottle opener is nice and compact which is great for using as well as for storing purposes and it also has a tough grip texture. A spare replacement screw / worm is also included. 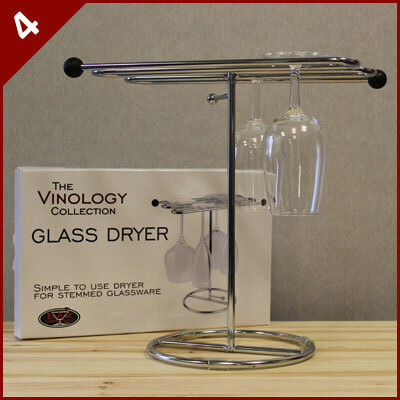 The Vinology glass dryer stand is a great way to clean and dry your fluted glassware once they’ve been washed. It’s a handy space saving device too as the 3 parts simply unscrew so you can store it in he drawer or a cupboard when not in use. Keep your glassware sparkling clean, the Vinology dryer stand will help you along the way. Enjoying an older bottle of red is always nice apart from the excess sediment that builds up in the bottom of the bottle. 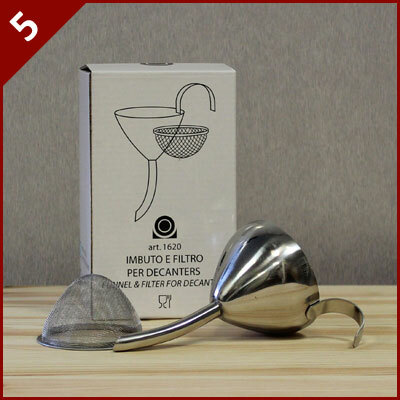 However, with our wine funnel, simple place this device over your glass or decanter and pour the wine ‘through it’, this will filter out the sediment and leave you with your favourite red…sediment free! If you’re struggling to choose a gift for the women in your life, let her choose a wine related gifts from Wineware and give a Wineware Gift Voucher. You have until 12 Noon on Monday 22nd December for guaranteed pre-Christmas dispatch!